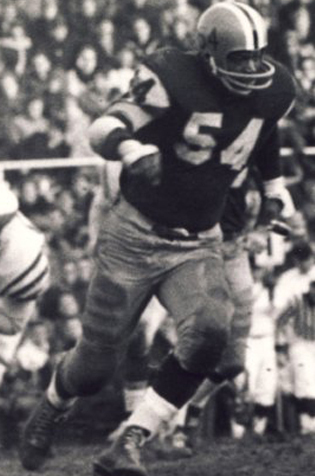 Ellison Kelly was a high draft choice of the New York Giants, and played with them before coming to the Canadian Football League during the 1960 season. Kelly usually played guard or tackle, but the versatile performer also provided depth at the defensive end and linebacker positions. Teammates recall him as being a tough, solid competitor, even when injured. During his 13-year career, Kelly never missed a game, playing 175 consecutive regular season contests.